What is Your Finish Line for 2015? Each year end I begin to reflect on the past year and look into the new year ahead. What do I want to accomplish in 2015? With a Finish Line on the radar I can begin to plan my strategy and mini goals to get there. I want to challenge you to consider what you want to accomplish with your art this next year. Having a coach help you along the way is a lot easier than doing it alone! I’m here to help you achieve your artistic goals. First, you need to write down what it is you want to accomplish. Make it as specific as possible and give it a deadline. If you need help here, just ask. Your goal should challenge you. If you are comfortable with your goal, it’s not challenging enough. This year I challenged myself physically by running a half marathon. 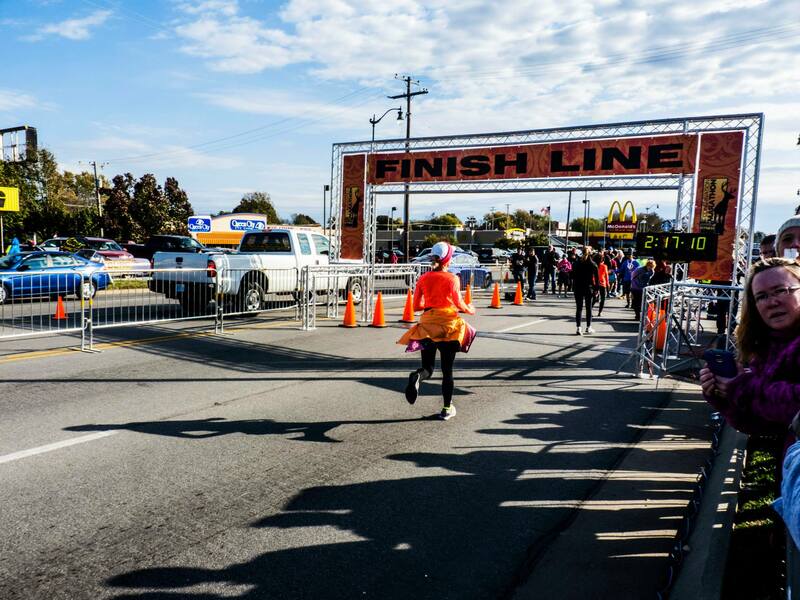 I had never even run a 5K race before I took on this challenge. I was way out of my comfort zone, to say the very least!! I don’t even like running!!! I learned some profound truths as I embarked on this challenge. During the next few months, I will share how I overcame some of the obstacles to attaining my goal. The journey is about to begin and it’s not a sprint to the finish line! You don’t have to cross the finish line today. Planning is the first step. Identify your goals. Write them down on a card that you can look at from time to time. Do you have a time line for achieving your goals? If so, write it down. Once you have your goals set, then we can plan the steps you need to take along the way to get you to the finish line! Consider the 3 D’s to get you started. Desire – your first D is the desire to do something, but your desire alone will not get you to the finish line. Why? My desire to stay in my warm, cozy bed could easily overrule my desire to go run! Desire needs Dedication. Dedication says you will continue to do what you need to do to accomplish your goals regardless of how you feel at any given moment, regardless of your circumstances! Desire and Dedication coupled with Discipline will carry you to your finish line. Discipline puts into practice daily activities that help you get closer to your goal! Do you have a desire? Great! Commit to your goal by being dedicated and disciplined. Set aside a given time each day to work on your goal. It is an appointment with yourself. Once you’ve accomplished your weekly goals you can give yourself a reward. My daughter and I have set up weekly and monthly goals. Our first reward for achieving our goals for January is a Spa Day!! That’s motivation for me! What’s your motivation?